Strengthening the Brand of Australasia’s Electrosurgical Authority . 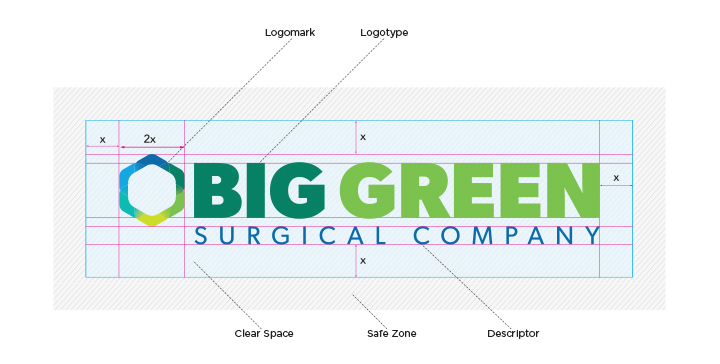 Big Green Surgical Company . 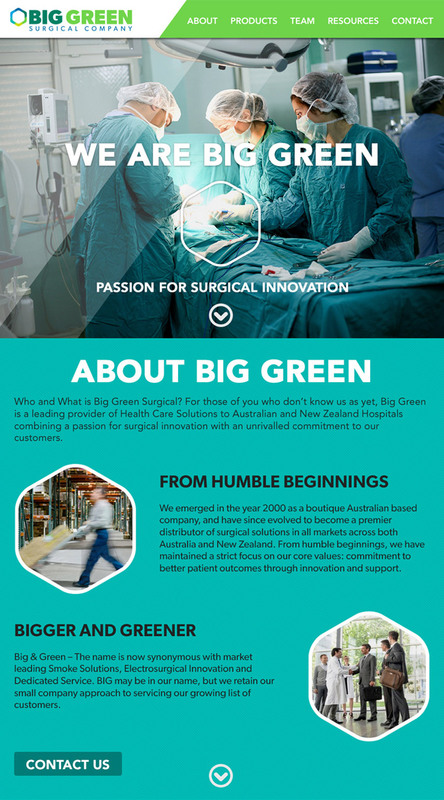 Big Green Surgical Company, the flagship Australia-based brand of the Diploma Healthcare Group of companies, is recognized as the authority in Australasia’s electrosurgical community since 2000. As the exclusive provider of Megadyne Medical Products in Australia and New Zealand, the company offers some of the most cutting edge technologies in electrosurgery, designed to improve patient care and safety. Since its inception, the brand has moved into every niche electrosurgical discipline such as cardiac, vascular, neuro, urology, and ophthalmology, thus creating the need for Big Green to make a big new statement about who it is today. Urban Jungle was asked to partner with the healthcare product supplier in strengthening its brand reputation and positioning through simplifying its messaging and communications, revitalizing its visual and identity system, and completely revamping its website. Working closely with a core brand team comprised of both Diploma and Big Green executives, we developed a plan of action including a complete review of internal, competitive, and contextual materials, as well as an interview process to gather expertise and consensus from its stakeholders. Our solution was to create a system that best leveraged Big Green’s evocative brand name, while simplifying its communications. As a result of this collaborative and strategic process, a refined, vetted, and broadly accepted position emerged: “Passion for Surgical Innovation.” The new position summarized their internal motivation to improve patient care and safety, their endless pursuit for market supremacy, and their unique ability to represent the most innovative surgical technologies on the market. 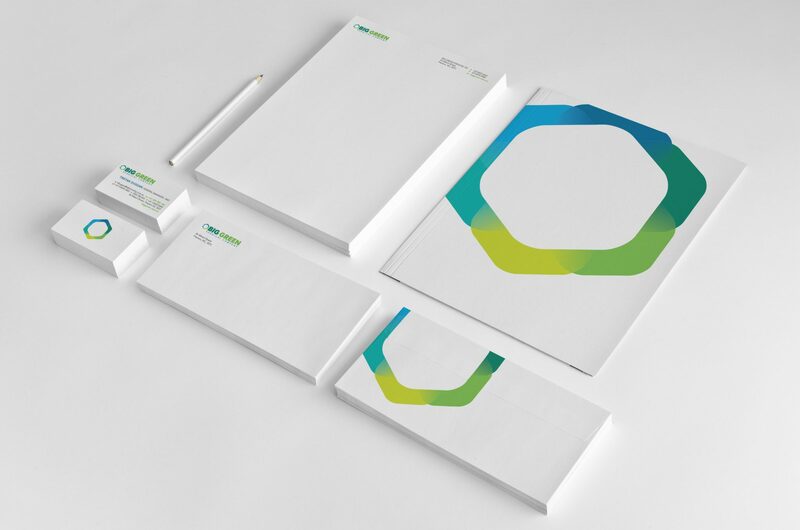 Additionally, we worked in conjunction with Big Green to create a strategically crafted design system complete with a bold identity, vibrant colour palette, and high-tech photographic style. The “hex” is comprised of vibrant colour gradients meant to communicate the emergence and convergence of its various surgical disciplines into one entity—Big Green. The concepts of emergence and convergence are also carried through the back of its staff business cards. Each employee brings unique personalities, specialties and skills to the Big Green team. The whole of which, is greater than the sum of its parts. With that in mind, each employee’s card owns a unique piece of the hexagon. When placed together they form the complete hexagonal shape.